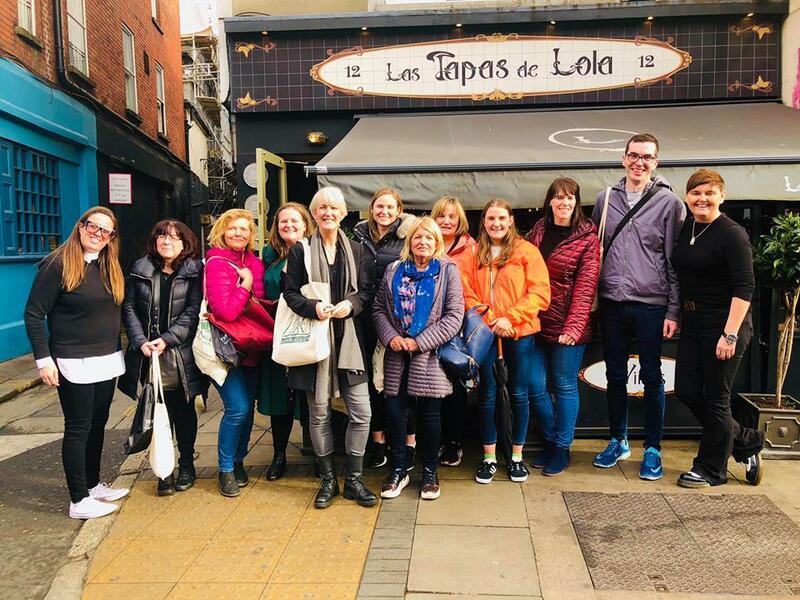 We were delighted to host the Irish Times critic's, Catherine Cleary, readers' event in Las Tapas De Lola. It was our pleasure to be asked by Catherine Cleary to take part in her food tour for the Irish Times Food Month Reader's Event. Catherine and Patrick & Russell (of Gastrogays fame) took a band of merry readers on tour around food establishments run by women in Dublin. We decided to give them all a wee taste of something different seeing as they joined us at 11.30am. Our favourite time! Vermouth time! A taste of vermouth with our favourite Espinaler sauce! We also gave them a little taste of chistorra, morcilla, tortilla, patatas a lo pobre too - sure great breakfast/brunch tapas to suit the time of day!